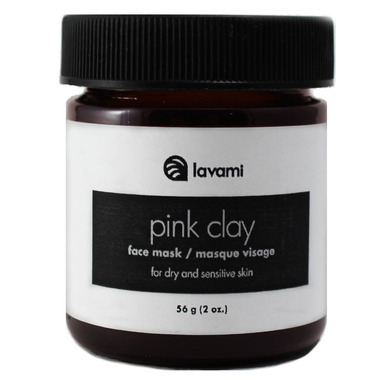 Lavami Pink Clay Face Mask is a gentle face mask that brightens, softens, exfoliates, and shrinks the appearance of pores. Recommendation: Mix 1 tablespoon mask with 1/2-2 tablespoons of water depending on consistency preference and mix together to form a paste. Apply to face and allow to dry. Rinse with water. Ingredients: Pink clay, white clay, coconut flour, oat flour, 100% pure rose geranium essential oil. Love this! Great for travel, perfect for sensitive skin, plus itâ€™s quick & easy to use! I find it moisturizes and brightens well.